There’s a more accurate way to screen babies for diabetes on the horizon. According to a recent study, this new way of screening is much more effective than current methods. Researchers at the University of Exeter and the Pacific Northwest Research Institute in Seattle created a new risk score called the T1DGRS2. What it does is analyze key regions of the genome, which is genetic information. 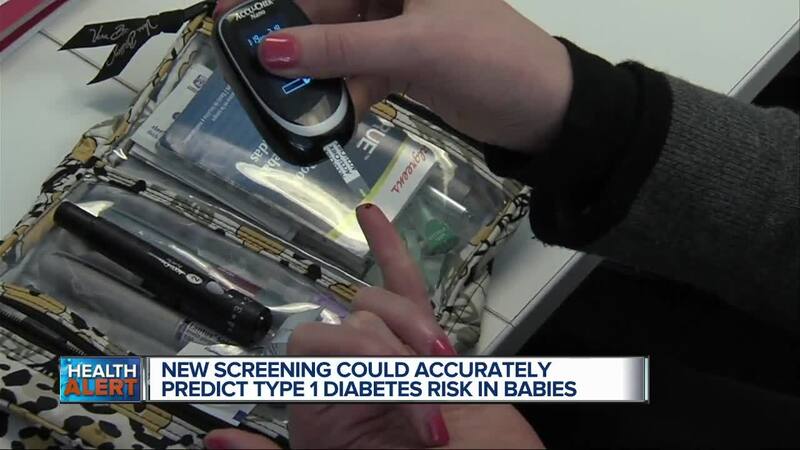 (WXYZ) — There’s a more accurate way to screen babies for diabetes on the horizon. According to a recent study, this new way of screening is much more effective than current methods. Researchers at the University of Exeter and the Pacific Northwest Research Institute in Seattle created a new risk score called the T1DGRS2. What it does is analyze key regions of the genome, which is genetic information. The test was created after researchers studied genetic variations from over 6,500 type 1 diabetes patients. The new test may not only help identify babies at risk of developing diabetes later in life, but also help when it comes to diagnosing type 1 or type 2. Now this test could be a game changer for many families. Because type 1 diabetes can start several years before symptoms appear, what happens is that the body’s immune system mistakenly attacks and destroys insulin-producing beta cells in the pancreas. Complications from diabetes can be disabling, and even life-threatening. But if parents are aware that their child could develop diabetes, they can watch them for signs before it becomes severe, and potentially avoid hospitalizations. Know the symptoms for type 1 diabetes like increased thirst, frequent urination, extreme hunger and unintended weight loss. You can get type 1 diabetes at any age, but there are two peak periods. When kids are between 4 and 7-years-old, and then between 10 and 14-years-old. Be aware that research has linked drinking cow's milk early to an increased risk of type 1 diabetes. And that breastfeeding could do the opposite and lower the risk. Explain to your children how important eating healthy is, and then be a role model and eat healthy yourself. Also make sure kids get regular exercise – 1 hour a day. When it comes to diabetes type 1, there is no known way to prevent it. But with the help of this new screening test, it could potentially lead scientists to develop innovative ways to delay or prevent diabetes.